Every automaker says that its vehicles are the best, but sometimes major publications agree with the marketing lingo. 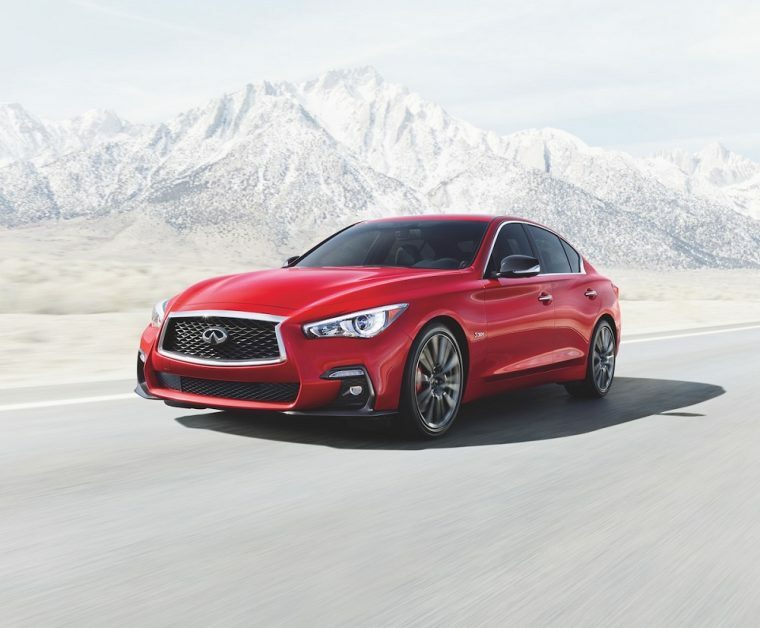 Two INFINITI models, the Q50 sport sedan and QX60 SUV, are winners in their respective segments at the 2019 Vincentric Best Value in America awards. Officially, the 2019 INFINITI Q50 won in the Luxury Mid-Size Sedan segment, and the 2019 INFINITI QX60 brought home the gold as a Luxury Large SUV/Crossover segment. This is the third consecutive year that the QX60 has won its highly competitive segment. To determine what cars get the Vincentric Best Value in America awards, the company uses a statistical model that uses annual mileage intervals and insurance profiles of vehicles. It evaluates eight cast categories to see what cars cost less to own: Fees and taxes, depreciation, financing, fuel, maintenance, insurance, repairs, and opportunity cost. According to Vincentric, it examined more than 3,000 unique vehicle configurations when looking for its awardees. The INFINITI QX60 is a three-row SUV that’s more than ready to take your family to their destinations in style. Besides a sculpted exterior and luxurious cabin, the QX60 is available with optional advanced safety features that help you stay safer on the road. These include Around View Monitor with Moving Object Detection, Backup Collision Prevention, Blind Spot Intervention, and Lane Departure Warning and Prevention. Last year, INFINITI added Rear Door Alert technology as a standard feature to catch you before you forget a child, pet, or purchase in the back seats of the QX60. The INFINITI Q50 is one of the brand’s most popular sedans. Its sporty style makes it fun to drive, and the multiple powertrain options gives you a way to customize how much power you get under the hood. Its VR-series 3.0-liter V6 twin-turbo engine is particularly impressive, and it made it to the Ward’s 10 Best Engines list for the last two years. Like the QX60, the Q50 has many advanced safety options. Both the 2019 INFINITI QX60 and Q50 are on sale now at dealerships nationwide.